Market your product and services by showcasing them. The first impression of Columbus is through the Columbus Airport. There has never been a better time to be in Columbus. With the BRAC decision to move the Armor School from Fort Knox, an additional 22,000 soldiers will pass through Fort Benning. The Department of Defense estimates 50% of all U.S. Army personnel will pass through Fort Benning over their career. Now is the time to strengthen your brand identity and loyalty to Columbus travelers. The Columbus Airport is the gateway to this beautiful city. • Travelers are spending more time in the terminal. • Travelers are required to take fewer carry-ons. • Traffic numbers have rebounded and are growing. What can Airport Advertising do for your business? • Increase visibility to your local customers. • Provide awareness and education to new visitors. 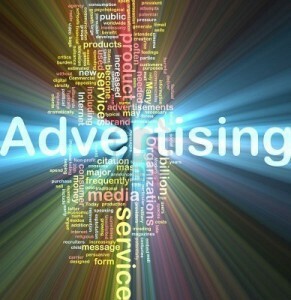 • Reinforces branding of your service or product in your media mix. • Build and foster corporate pride. Why advertise at the Columbus Airport? • Over 100,000 passengers fly in and out of Columbus each year. • 70% of the travelers are connected to Fort Benning. Show your support. Digital Billboards: Spotlight your business or service on our digital billboards located throughout the airport to include: Baggage Claim, Security Checkpoint Waiting Area & Boarding Gate. Standing Banners: Standing Banners are 6′ x 4′ and stand in the Concourse, Terminal and Baggage areas of the airport Terminal. Framed Posters: Posters are located throughout the terminal and the gates. This is an inexpensive way to get your message to a targeted audience. Contact: Direct questions or inquiries regarding airport advertising to Sonya Overton at 706.324.2449 x 1422.